Uncategorized | Out of the Box! Happy Holidays To All BearKats! The Sam Houston State University Archives would like to wish all BearKats a Happy Holiday and a great New Year! 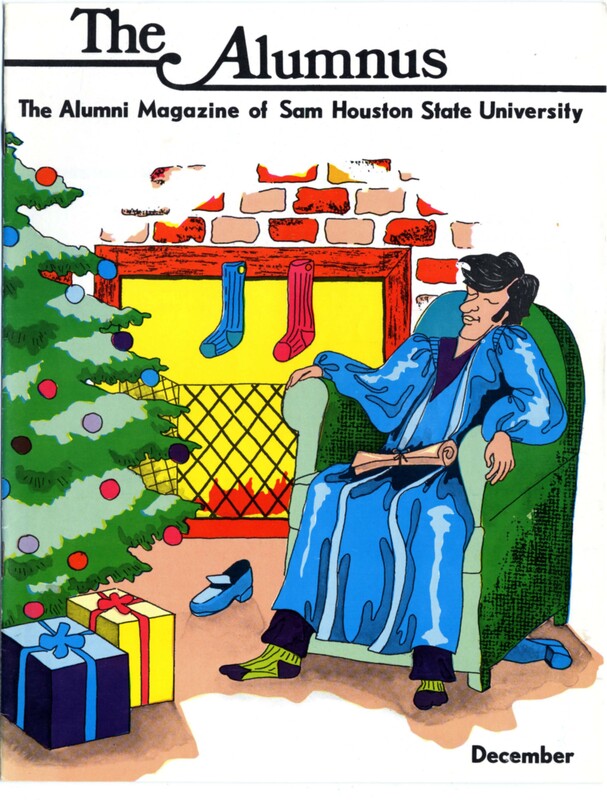 This cover is from The Alumnus, the Alumni Magazine of Sam Houston State University, December 1974 issue. Here in the Archives we refer to it as the “Elvis” cover. 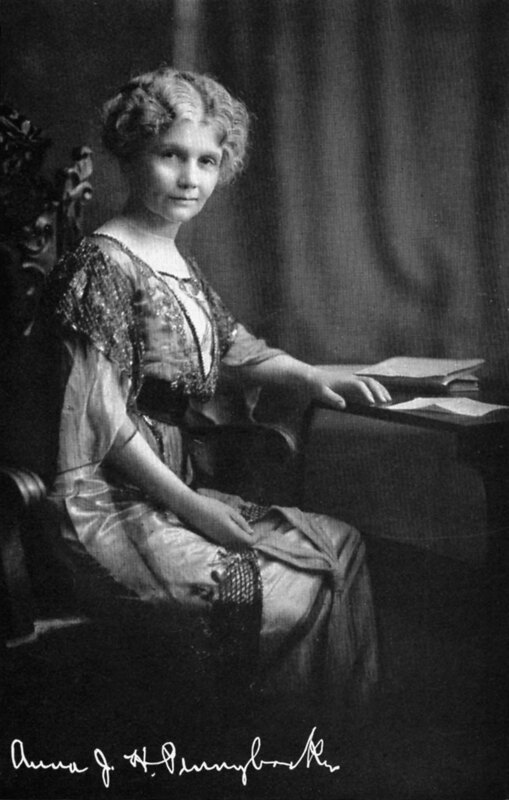 This image was used for the next two December issues of The Alumnus. SHSU University Archives would like all BearKats to make a New Year’s resolution to visit the University Archives and say Hi! Be happy, be safe, see you next year! 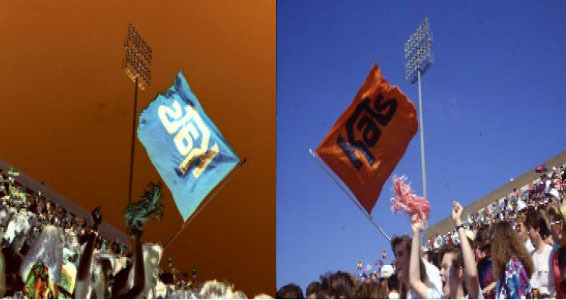 Yesterday, today, tomorrow, and forever the Orange and White will always be right for Kat fans! When I scanned this slide negative from 1991 for this week’s post I mistakenly scanned it on negative color film and the image was reversed. Well I thought that looks pretty cool. So I decided to put the images up side by side. Drop me a line and tell me what you think. Enjoy Orange Out 2015, the first home game of the 100th year of BearKat Football with our Kats going up against the Big Reds of Lamar University. 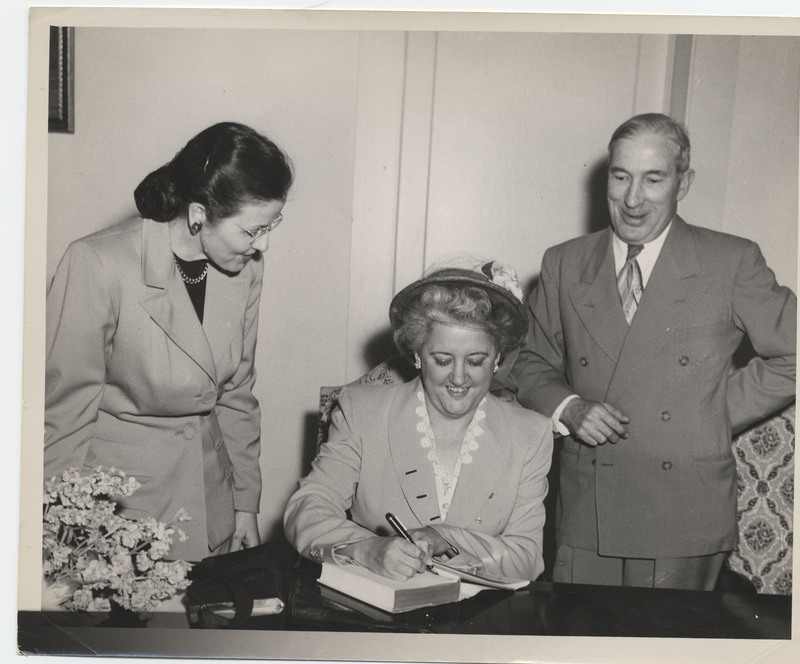 Come visit the University Archives in room 400 of the Newton Gresham Library. We are open 8-5 M-F.
Hello! I am Amanda Chang, and I am the summer intern for SHSU’s Thomason Room and the University Archives. I am a graduate student at Sam, working toward earning my master’s degree in History. 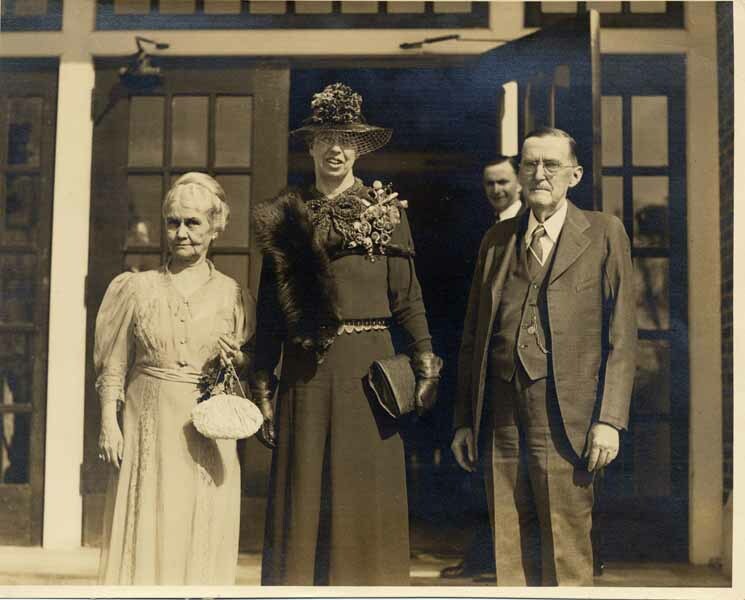 My interests within the field include the history of the Western U.S., as well as women and gender in American history. I hope to continue my studies by earning a Master in Library Science and ultimately want to work in academic or public libraries. Now that you know a little about me, I’ll introduce my summer project and also talk a little about what I’ve learned during my initial few weeks in the archives. The project I have been tasked with for the summer is the organization, research, and design of a display that will showcase Sports History at Sam. 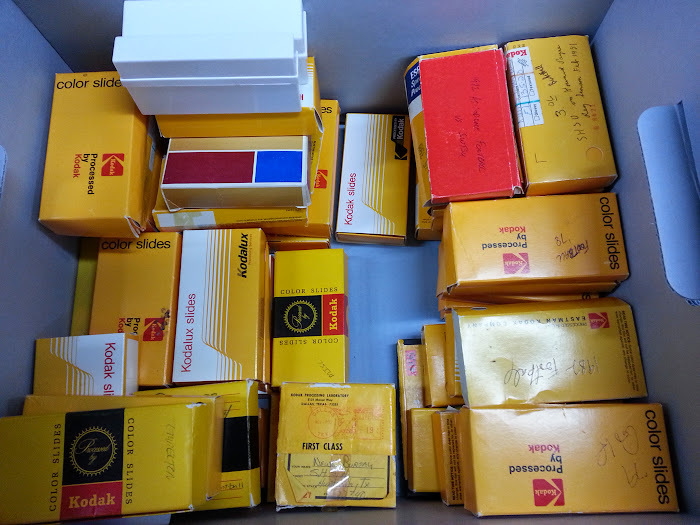 This includes sorting and scanning dozens of old SHSU News Bureau slides, dating mostly from the 1970s-1980s, as well as digging through old yearbooks and newspapers in order to begin to piece together the story of the teams pictured in these photographs. Before beginning this project I knew almost nothing about the history of sports at SHSU, but this project has shown that through the years many accomplished athletes have made their mark inside our stadium and coliseum (and before they were built, on our fields and in our gyms), and their achievements certainly deserve preservation and commemoration. I’ve only just begun the research stage of this project, so I’m very excited to learn more. 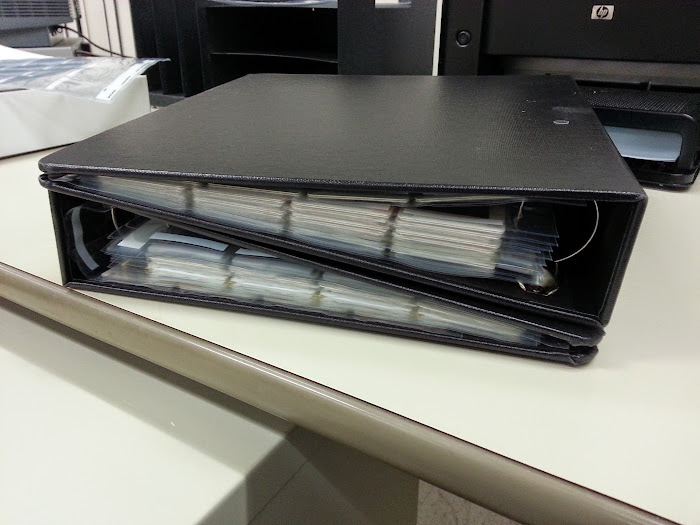 For most of my time so far I’ve been working with Barbara Kievit-Mason in the Archives, sorting the slides from random boxes, listing them on spreadsheets, and placing them neatly in binders. While in the archives I’ve learned a lot about the history of the University, the inner workings of the archive, and have had a lot of fun looking at old documents, unique books, and the miscellaneous items of interest that have found their way into the archives over the years. Now that I am in the research phase of the project I’m splitting time between the Thomason Room and the archives while going through old Alcaldes (the SHSU yearbook) and issues of the Houstonian (SHSU’s newspaper) to gather as much information as I can on the teams pictured in the slides (of which there are approximately 450 total, focused mainly on Football and Basketball). As I progress on the project I’ll be posting updates here, and I’ll continue to share my experiences as an intern with you all. Thanks for reading! As a colonel in the United States Marines, John W. Thomason, a former Huntsville, TX resident, traveled all over the world. 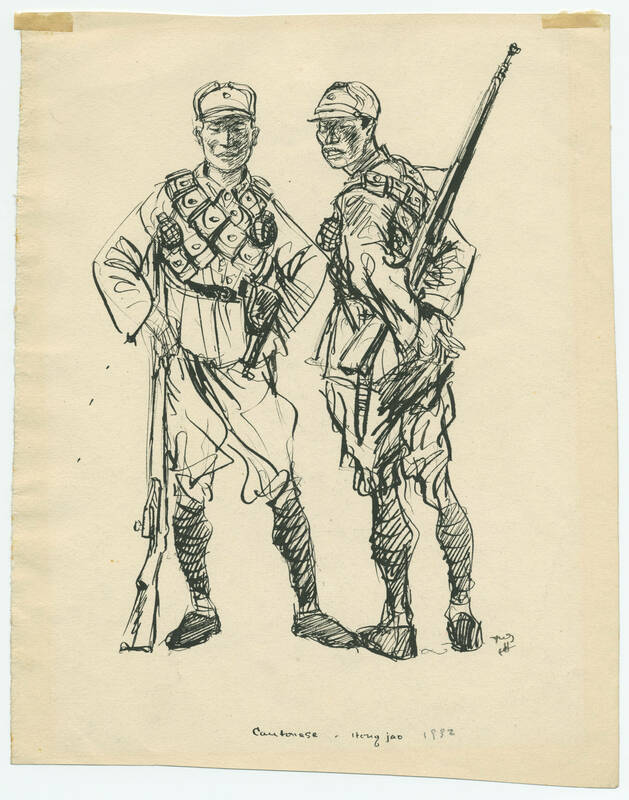 When not performing his military duties, Thomason explored his passion for drawing. 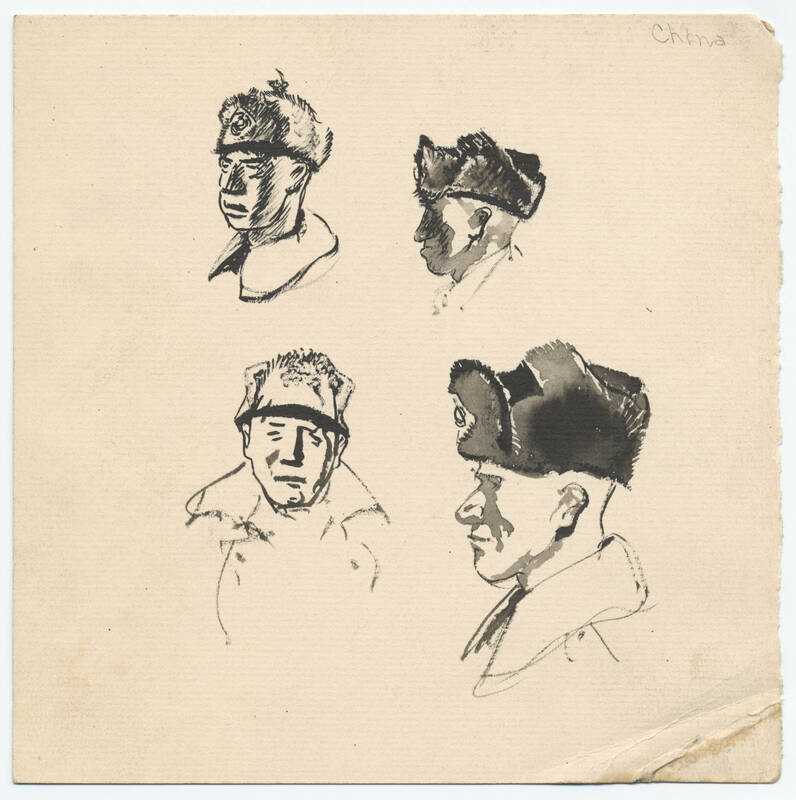 He used every opportunity to draw and capture what he saw around him. He would draw on whatever he could find: paper, napkins, or scraps. He would even draw on his own drawings! 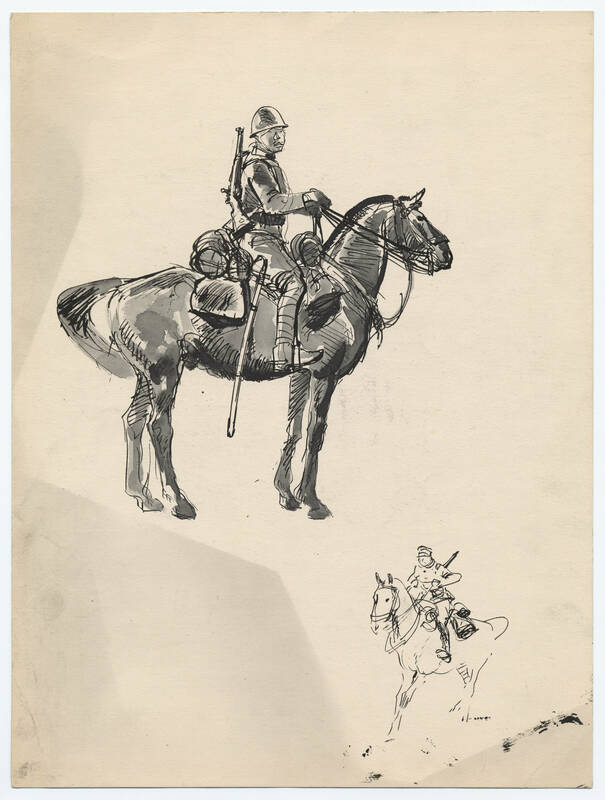 These drawings are just a small sample of his artwork found in the John W. Thomason collection which has over 1,600 pieces. 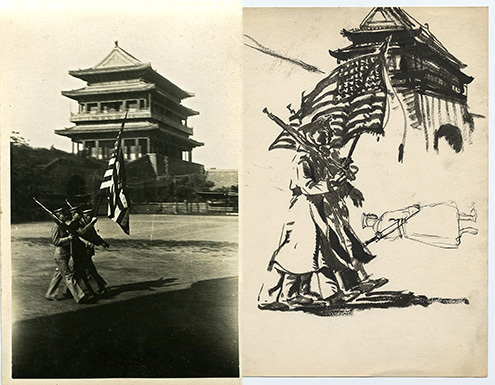 The individual illustrations presented above and below document Thomason’s time stationed at the Legation in Peking in the 1930s as he documented the China horse marines in his sketches during his time as the commander of the 38th Company in China.